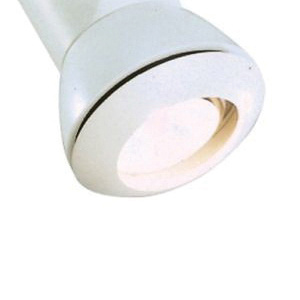 Lightolier PAR-Tech™ Collection Bezel shade with silicone rubber accent ring, is perfect for Lytespan® track lighting systems and 60-Watt PAR16 Sylvania lamp. It measures 2-15/16-Inch x 1-13/16-Inch. This shade features die-cast aluminum construction with matte white finish.